Forty-four life-sized, decorated bronze busts of Barack Obama rest in the Black Archives Historic Lyric Theater, part of a traveling art exhibit paying tribute to the former president’s legacy. 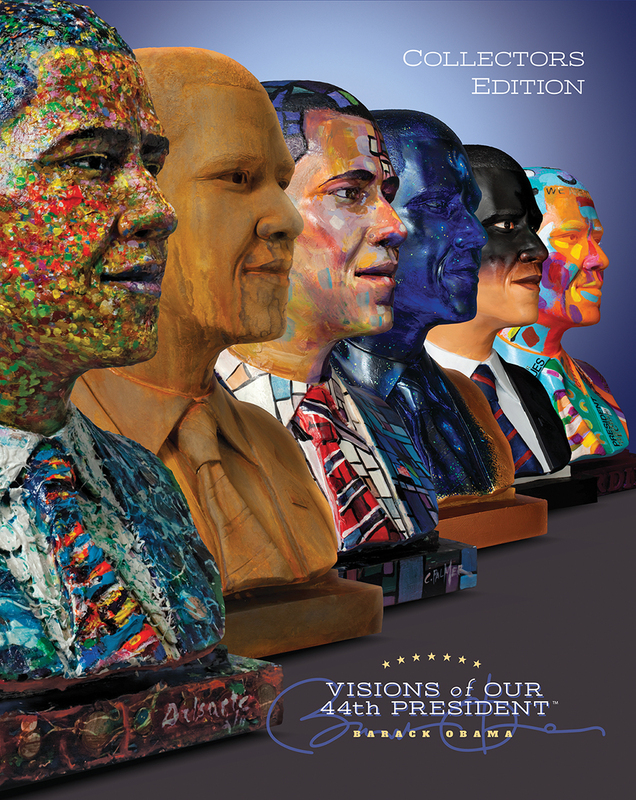 “Visions of Our 44th President,” which runs until Feb. 28 in the historic Overtown district of Miami, was coordinated by designer Peter Kaplan in partnership with the Charles H. Wright Museum of African American History. Kaplan’s interest in the Obama presidency began on the campaign trail in 2008 when Kaplan worked on campaign posters. After the concept for the exhibit was conceived, it took four years to create before being debuted at the Charles H. Wright museum in Detroit, Michigan. The busts each feature unique artwork from a different African-American artist. 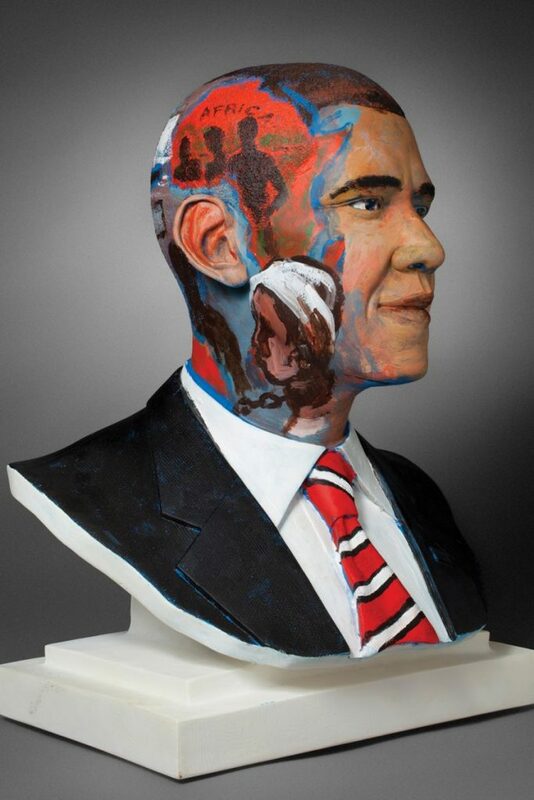 Artists were able to alter the busts in some way to reflect on Obama and his legacy. Most are painted while some have other embellishments, such as in Angelbert Metoyer’s “Tarred and Feathered,” which features a disheveled feather crown atop the bust’s head. “[The exhibit is the] defining of Obama’s legacy of hope,” Kaplan said. And, in a particularly tumultuous political environment following the recent election of President Donald Trump, many people are afraid of what’s to come. “‘Visions of Our 44th President’ will give hundreds of thousands of people hope as this exhibit travels across the country,” Kaplan said. He believes the exhibit symbolizes Obama’s legacy and that there is great power within the artwork itself. The exhibit is moving and powerful. Each individual bust resonates with the viewer, as if the sculpture is staring back at you. The exhibit functions in several fashions, paying tribute to the past and honoring it. 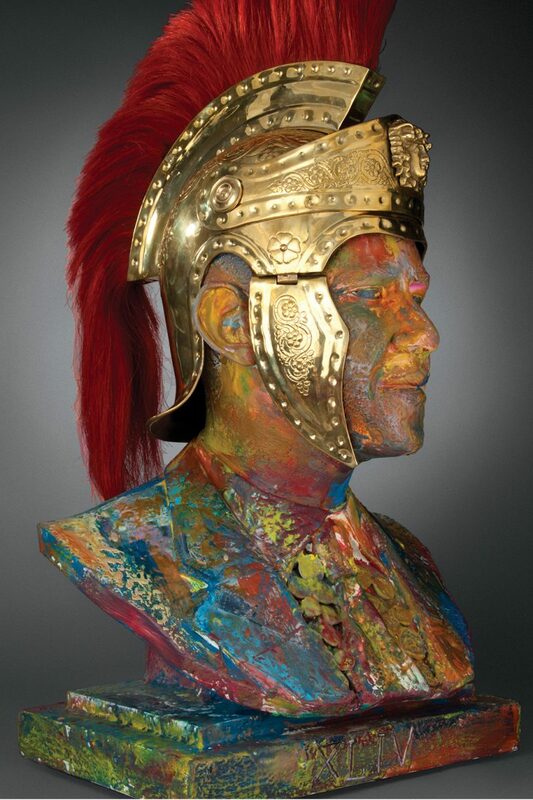 For example, the bust in Preston Sampson’s “Tales Retold” features a Roman gladiator’s helmet, simultaneously depicting the former president as a major historical figure while alluding to the destruction of the once-great Roman Empire. Despite current tumult, the exhibit portrays the state of the nation and looks optimistically toward the future. One of the artists featured in the exhibit, Arthur Bacon, discussed how his past experiences influenced his choice of how to paint the bust. “Having been severely beaten for sitting in the wrong room of a train station just 50 years ago, it didn’t take long to decide how I would paint the bust. 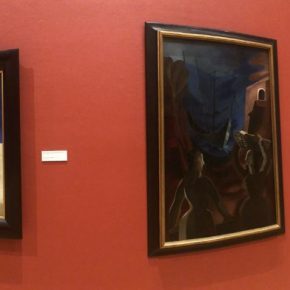 Chronological series of images in acrylics pay homage to countless maimed, murdered and enslaved African Americans,” said Bacon in the exhibit’s website, www.44thpresident.us. This statement on his piece, “From There to Here,” is poignant, demonstrating that the busts convey sentiments based on decades of experiences. In the current political climate, an exhibit as visually powerful and forward-thinking as “Visions of Our 44th President” is paramount. Correction, Feb. 21, 2017: This article originally stated that Peter Kaplan was the president of the Charles H. Wright Museum of African American History, which was incorrect. Kaplan is a designer who worked in partnership with the Charles H. Wright Museum of African American History.